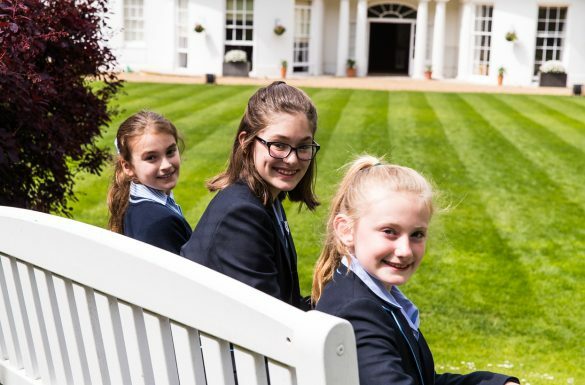 Our Scholarships Programme for girls planning to join our senior school in Year 7, September 2020 seeks to attract candidates as our academic, sporting and creative and expressive arts scholars. We offer both major and minor academic scholarships. Girls will need to sit our Entrance Examinations in English, Maths, Science and SPaG on Friday 10 January 2020 to qualify and will be in Year 6 when they are assessed. For details of the entry and assessment process for an Art, Drama, Music or Sport Scholarship and a copy of the application form, please contact admissions@manorhouseschool.org. The assessment days will be held in late November 2019. Bursaries may be applied for in addition to any scholarship with all bursary applications subject to full disclosure and means testing. Bursary applications must be in by 30 November for the academic year starting the following September. Two Major Open Scholarships at 50% of the basic annual tuition fee – one awarded to an external candidate from either an independent or state school and one to an internal applicant. Two Minor Open Scholarships at 40% of the basic annual tuition fee – one awarded to an external candidate from either an independent or state school and one to an internal applicant. Sport and Creative and Expressive Arts (Art, Drama and Music) scholarships of between 10-30% of the annual tuition fee are open to any candidate from an independent or state school including Manor House School internal applicants. Scholarships in individual sports such as Athletics, Gymnastics, Hockey, Netball, Tennis and Swimming are offered although other sports are also considered. A Scholarship may be awarded to one or more candidates at the discretion of the Headteacher. 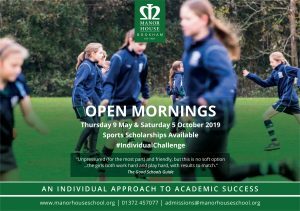 Please contact admissions@manorhouseschool.org for further details. 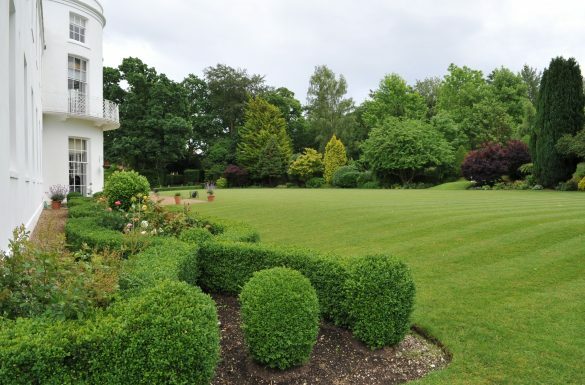 Scholarships are fixed in percentage terms, usually for the duration of a girl’s education at Manor House School, Bookham and are subject to ongoing performance. For full details and an information pack, please contact the admissions team on 01372 457077.